The Gauteng Department of Finance has denied reports that the Gauteng Online project is not running effectively, despite billions having already been spent. The Gauteng Department of Finance says allegations that a contractor for the Gauteng Online project is still being paid millions to keep an ineffective project running are not true. 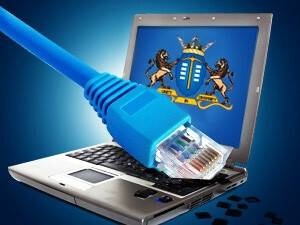 "The scope and scale of the Gauteng Online project are extensive, as it covers the entire province using a diverse variety of electronic and telecommunications systems," says departmental spokesperson Sithembiso Ndlovu. Ndlovu, however, confirmed that Cloudseed (previously known as SMM Telematics Consortium) is being paid R126 million to keep school computers running, after its contract was temporarily extended. Cloudseed's original contract expired on 31 March and was not renewed, but instead extended for a further three months. "This money [R126 million] is for leasing this entire system over this period," says Ndlovu. The Gauteng Online programme was initiated in 2002 through the provincial Department of Education and implemented by various service providers. In April 2007, the programme was transferred to the Gauteng Department of Finance, and the contract awarded to SMMT (now Cloudseed). Earlier this year, Gauteng finance MEC Mandla Nkomfe said the department is looking to redesign the project, so that all learners would have their own devices, such as tablets, smartphones and netbooks. This would ensure pupils have all their e-books, as well as their curriculum content, readily available. Ndlovu confirmed that the department is now working on an alternative solution to the computer labs, but said details will be communicated "at an appropriate time". According to Mike Moriarty, DA MPL Gauteng spokesperson on finance, extending the contract with the current supplier was the appropriate thing to do while an alternative solution is being put in place. However, he feels three months will not be adequate time to do so. "The department has, at this stage, not yet indicated whether they are going for a request for proposal, and I have formally submitted that question to them," says Moriarty. "The DA demands that a request for proposal be put forward, because there is a history in this province that every time they go for a sole provider and not an open-tender process, it has been a failure." Moriarty adds that a request for proposal will not only prevent suspicions of collusion, but will also open government up to a much wider range of opportunities and solutions. "Requests for proposal are not done quickly. It is a whole process that naturally takes a while. So, I just don't know if a three-month extension [of the current supplier's contract] is going to be long enough." Ndlovu confirmed that the government still owes Cloudseed R200 million, which he said is "due to outstanding arrears". Cloudseed could not be reached for comment.